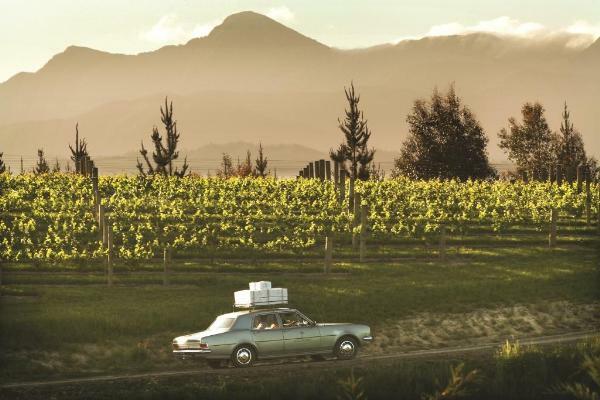 Dog Point Vineyard is located at the confluence of the Brancott and Omaka Valleys in Marlborough, New Zealand’s premium wine growing region and is one of the oldest privately established vineyards in the region. Dog Point Vineyard produce four wines including a sauvignon blanc typical of the Marlborough style, a sauvignon blanc aged and fermented in older French oak barrels (Section 94), a chardonnay and a pinot noir. With a hands off approach to winemaking, all fruit is from hand-picked, low cropped vines grown under organic principles. Wines are made to drink well on release or cellar gracefully. Tours & tastings by appointment during the week at 11am or 2pm daily.